What I remember most about a book is where it has taken me, emotionally and metaphysically. When the words strip the world around me bare, refashion it into something entirely different, and it affects me in such a profound way that it becomes as much a part of me as any step in my own story—that’s what every writer strives for. It is the intention behind every written word. In order for me to channel that intention effectively, I have to immerse myself in what I’m trying to create. That can prove to be difficult when what I’m creating only exists in the abstract or, worst yet, when it exists but it’s a place I’ve never been. 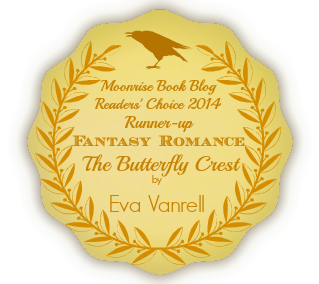 Most of Elena’s journey in The Butterfly Crest takes place in worlds that exist only in mythology, and the beginning of her journey is born in a country I am irrevocably devoted to but have, regrettably, never had the pleasure to see with my own eyes. It is easier to convey an intention when you have experienced it with every sense in your being; when you’ve seen it, touched it, tasted it, smelled it, heard it. Your senses are necessary tools in conveying your intention. But what do you do when they aren’t in your arsenal; when the only experience you have is abstract? It’s in those moments when I turn to other people’s experience; immerse myself, vicariously, into some else’s senses until they supplement my own. I’m sure it was a much more academic exercise before, but today we have an endless supply of blogs, video, and information to learn from. I was fortunate enough to have a history with the things I chose to write about—I had years of books and resources I could turn to at first—but it was the “virtual” information that really made the difference. Photo blogs. Travel videos. Endless articles on a particular culture and aesthetic. Information on archeology and myth. The good thing about writing on mythology is that history already provides you the footprint; you just have to fill in the blanks with a little innovation. Writing about a place that exists is a little more difficult. You have to honor it, be mindful at all times of striking a balance between artistic and ethical integrity. Blogs like Patrick Latter’s Canadian Hiking Photography were pivotal; photographs that affect me in the same way as a well written book. I’ve never been to Canada, but he makes me want to write about what he captures in his photos (not just scenes, but a visceral expression of something outside of ourselves). Using blogs like Patrick’s, I researched the places I wrote about – whether real or myth. I studied photographs and videos, searched for as much sensory information as I could, and then wrote with that intention in mind. By the end of Elena’s journey, I felt as if I had visited all of those impossible-to-reach places; a feeling I hope to have in common with my readers by the end of their journey into Elena’s new world. Creating a setting is as important as creating a character. It should live and breathe as viscerally as their animate counterparts. Copyright © Eva Vanrell, 2011 – 2018. All rights reserved. Unauthorized use and/or duplication of the material contained in this blog, including but not limited to any and all characters, plots, settings, book covers, and/or excerpts from The Butterfly Crest and/or The Protogenoi Series, without express and written permission from this blog’s author and/or owner is strictly prohibited. 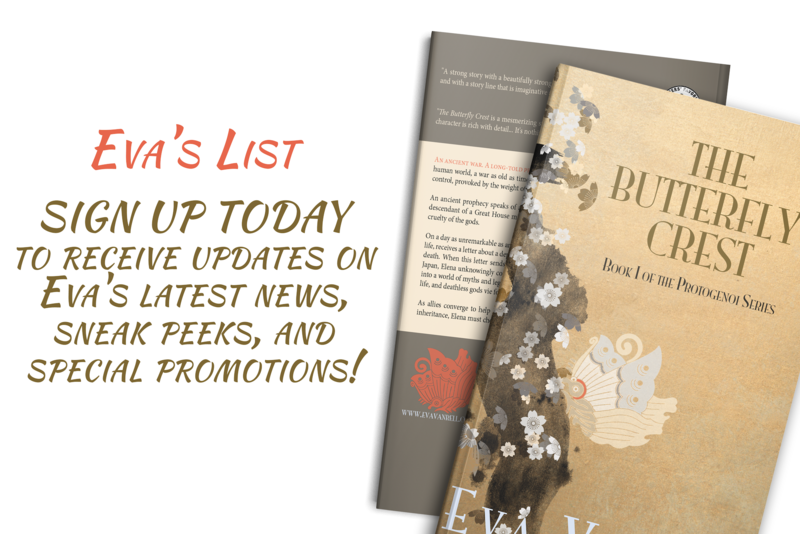 Excerpts and links may be used, provided that full and clear credit is given to Eva Vanrell with appropriate and specific direction to the original content.